Visit our showroom. We have hundreds of dresses from the world's leading designers to choose from and look forward to assisting you! Joan's Bridal Couture offers hundreds of bridesmaid dresses for you and your bridal party to view and try on. 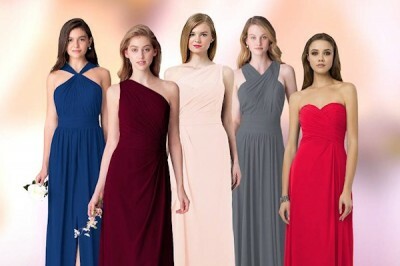 We have a wide variety of styles from the industry's leading bridesmaid dress manufacturers. Many come with coordinating junior bridesmaid and flower girl dresses, as well. Click the collections below to see some of the styles we carry in store to view and try on. No appointments are needed for bridesmaid dress shopping.